While the tablet business was surely not the most successful segment that HP got into, we must admit that the HP Slate 7 was an amazing device, especially for its affordable price. 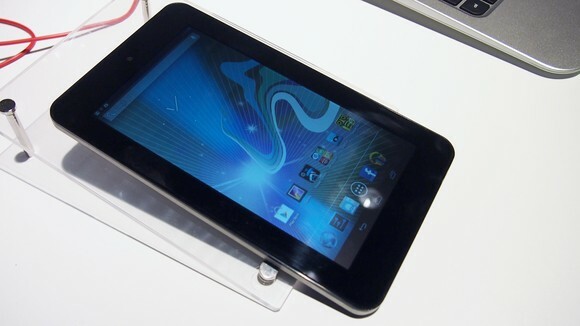 Now, several months after the initial February release you might find that the tablet is misbehaving or running slow. Well, in order to address these minor issues a good old hard reset procedure must be taken into account. By restoring the HP Slate 7 to factory settings through a hard reset, as we like to call it here, you basically delete every bit of important information from the internal storage and from the microSD card (optional). In the process, every Google account attached will be removed and alongside it, contacts, mail synchronizations, pictures, videos, music and applications. All of these in the quest of restoring HP’s tablet to its original state. Taking into consideration that after the HP Slate 7 has been factory reset no personal information is stored on the device, this can also be the perfect process to perform right before a re-sell. By erasing everything on the tablet before a purchase, you make sure that the new buyer will not have access to personal information. Touch the All Apps icon and then on Settings. Scroll to the Personal section and in here, tap on Backup & reset. Now press on Factory data reset and confirm your action, by pressing the Reset tablet button situated in the bottom part of the newly-appeared screen. On this stage, the system will ask for your lock screen password, if you have one configured. Kindly respond to this request or, if you have forgotten this password, scroll to the section below where the reset is done from the recovery menu. Once more, confirm your actions by pressing on Erase everything and wait for the process to complete. As we mentioned above, when the slate is not functioning properly and Android could not be loaded or, when you simply forgot the lock screen password, hard resetting from the recovery menu is the only solution. Use the video linked above or the following instructions to perform a reset. Press and hold the Volume UP, Volume Down and Power buttons at the same time. When HP’s logo appears, release all of these buttons and wait for a few seconds for the system recovery menu to show up. Now, using the Volume UP/Down buttons to scroll, navigate to wipe data/factory reset and press the Power button to select it. Confirm your action by selecting Yes in the next screen. After the process is complete, reboot the tablet using the same navigational buttons. It seems that your tablet refuses to enter recovery mode. If the Android system is still functional, try the first method listed above to reset the slate. If Android doesn’t work at all and you simply want to restart from the recovery menu (which does not work), then unfortunately I don’t know what you can do. Try searching on XDA forums, on the dedicated HP Slate 7 section. They usually have the answers for serious problems. Or, take it to a HP shop. after i wiped the system memory and pressed the reboot option , the tablet went right back in the hard reset mode , why ?